This soundbar/subwoofer combo is for audiophiles and cineastes who can afford to indulge their craving for refined, dynamic sound. Canadian manufacturer Bluesound makes some big audiophile claims for its Pulse Soundbar and Pulse Sub. Based on my experience with these speakers, those claims are valid. With all due respect to the competition, the build quality for both speakers is head and shoulders above average. Think high-performance luxury car versus run-of-the-mill econobox. The Pulse Soundbar is among the beefiest soundbars I’ve reviewed. The 42.25 x 5.5 x 2.75-inch speaker weighs in at a hefty 15 pounds. Furthermore, there’s a noticeably dense feel to the soundbar when you hold it, thanks to an aluminum enclosure and a metal grille that’s in stark contrast to the plastic shells gracing much of the competition. The speaker is available in black (as my review unit was) or white, but the white finish will cost you another C-note. 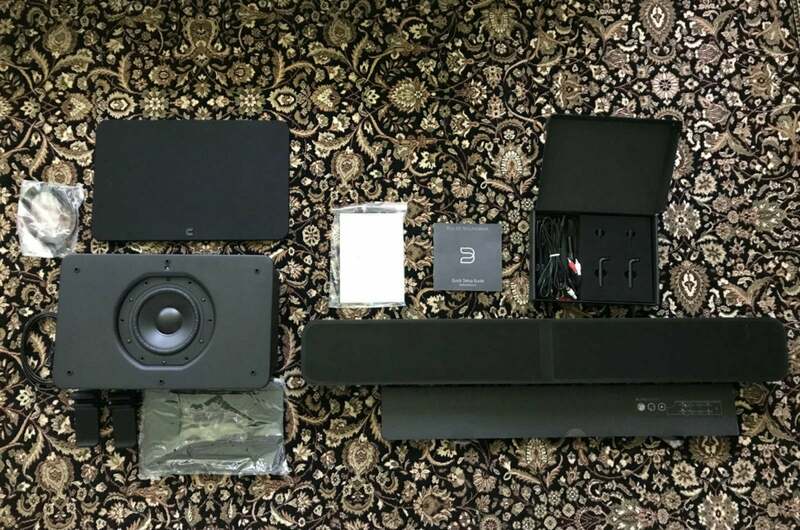 The Pulse Soundbar and subwoofer unboxed with included accessories. The Pulse is a three-way soundbar outfitted with two 0.75-inch soft dome tweeters, two 2-inch treated-paper-cone midrange drivers, and two 4-inch woofers. A pair of passive radiators further emphasize low-end frequency response. You can wall-mount the Pulse Soundbar or rest it on a table in front of your TV. If you take that approach, as I did with a 65-inch Vizio P-Series TV in for another review, you might discover that the soundbar blocks the lower part of the TV screen. While watching football, the speaker obscured the lower 25 percent of the lower-third ID that displays that game’s score and the current down. It also blocked the TV’s IR receiver window, and since the speaker doesn’t have an onboard IR repeater to re-send the TV remotes commands, I had to elevate the TV a few inches to compensate for the soundbar’s height. 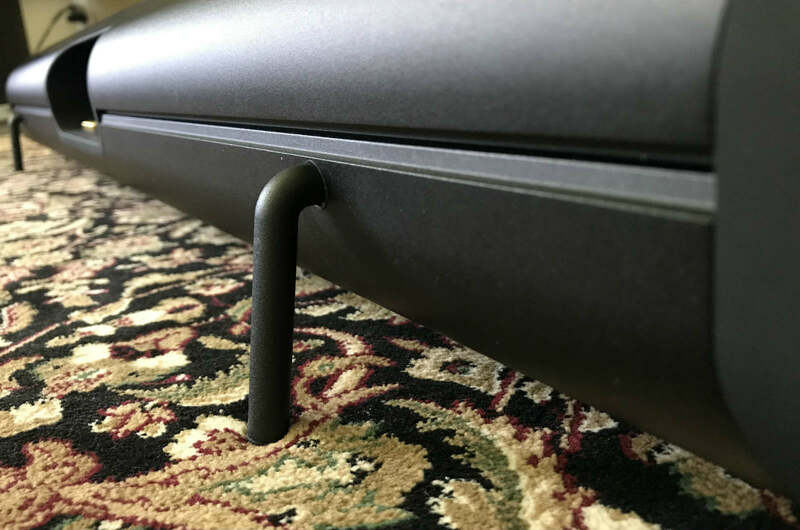 The Pulse Soundbar comes with a high-quality wall mounting bracket for wall installations, and optional feet to keep the sound bar upright when placed on a credenza. These feet are metal, not plastic. Bluesound also offers a well-built tabletop TV stand ($299 at Amazon) that will accommodate up to a 65-inch TV that has a special aluminum-and-steel mounting bracket for the Pulse Soundbar. This is a slick option that you won’t find with other soundbar manufacturers. Detail view of the Pulse Soundbar’s high quality metal feet. Given the soundbar’s overall dimensions and the size of its drivers, you might be surprised to learn that it is only rated to reproduce frequencies down to 55Hz +/-3db. Some smaller sound bars claim to produce deeper bass, but numbers don’t always tell the whole story. The Pulse Sound Bar delivers noticeably superior performance and control compared to lesser models claiming better specs. Played by itself, the Pulse Soundbar delivers deeply satisfying sound. Should you want to take its performance to the next level, add the optional wireless Pulse Sub. You’ll create a 2.1 setup with low-end performance rated down to 30Hz +/-3db. A detailed view of the Bluesound Pulse Sub’s driver. The upright Pulse Subwoofer comes in a slim profile, measuring just 17.6 x 11.25 x 4.8-inches. The sub’s slim profile makes it super easy to prioritize placement for peak performance or aesthetics. It’s easy to tuck in a corner, slide under a sofa, or hang on a wall. Yes, hang on a wall. The sub comes with both a wall-mount bracket and a pair of rubber feet for standing it upright. The Bluesound Pulse Sub comes with rubber feet, but you can also mount it to a wall..
A 100-watt Class D power amplifier drives the Sub’s 6.5-inch polypropylene cone. If you’re a technophobe, rest assured that setting up the Pulse Sub is easy to set up. Simply plug it in, turn it and the Pulse Soundbar on, and the two will pair automatically. Should you have the home network infrastructure to take advantage, both soundbar and the subwoofer also have gigabit ethernet connections as well. If you do run into trouble with connections, Bluesound provides step-by-step troubleshooting videos on its website. Adding the Pulse Sub to the mix significantly improved the system’s frequency response. Again don’t be fooled, the Pulse Sub isn’t your typical soundbar companion. It’s clearly designed as an audiophile-grade sub with all the tools you need to dial in its performance to your room. For example, most wireless subs paired with sound bars offer volume control—and that’s it. 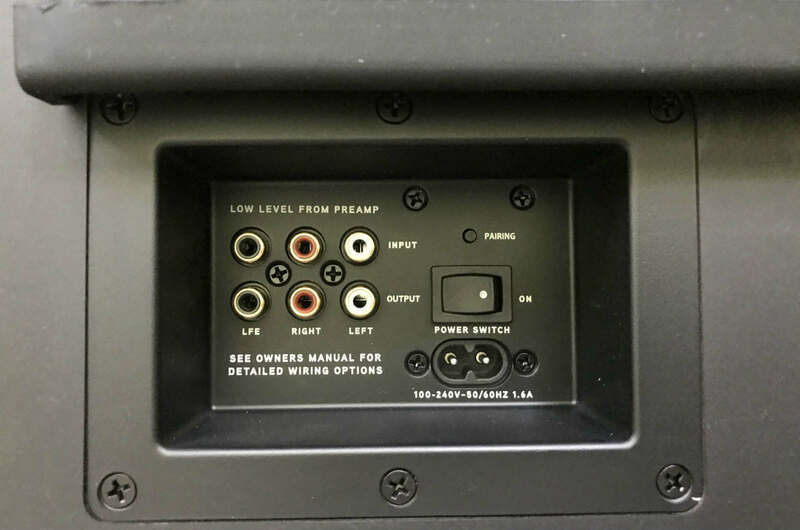 The Pulse Sub has the same controls as a high-end home theater subwoofer: Volume control, variable crossover frequency from 50- to 150Hz, and variable phase adjustment (0 or 180 degrees). 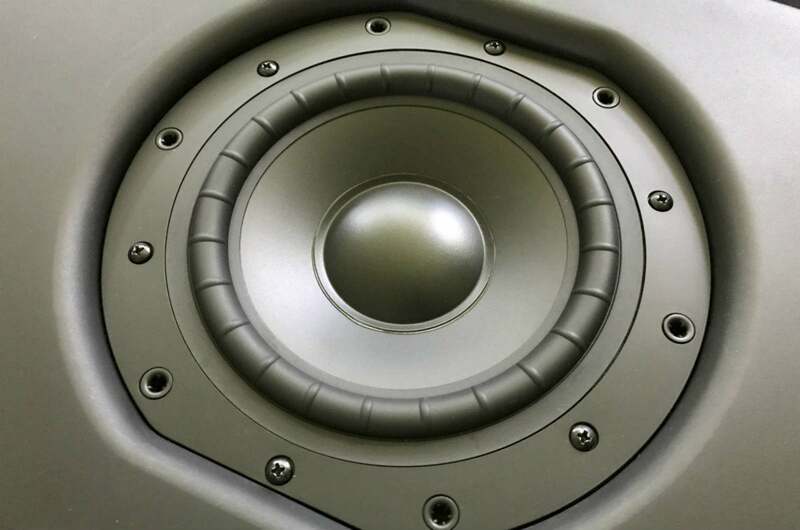 Crossover and phase settings are essential to maximize a subwoofer’s performance in your particular room. If you’re not accustomed to setting a sub’s phase, put the phase at 0 degrees (the default) if you’re placing the sub at the front of the room, and at 180 degrees if it’s at the rear. To dial in the phase more precisely, play some low-frequency test tones or music with deep bass, and then change the phase while measuring the sound pressure level (SPL) output with an SPL meter. Whichever phase setting is loudest is the correct phase. A view of the Pulse Sub’s input and output options. Even more unusual is the presence of LFE (Low-frequency Effects) and stereo inputs and outputs. This enables the options of connecting the the Pulse sub to an existing preamplifier, or linking multiple Pulse Subs together. Thanks to the pioneering research done by Todd Welti at Harman, we know that adding two or more subwoofers will help smooth any room’s bass response. You can read more about the science of using multiple subs in a home theater here. Unlike most soundbars, the Pulse Soundbar and Pulse Sub don’t come with a physical remote control. You need to use the BluOS Controller app for Android or iOS. 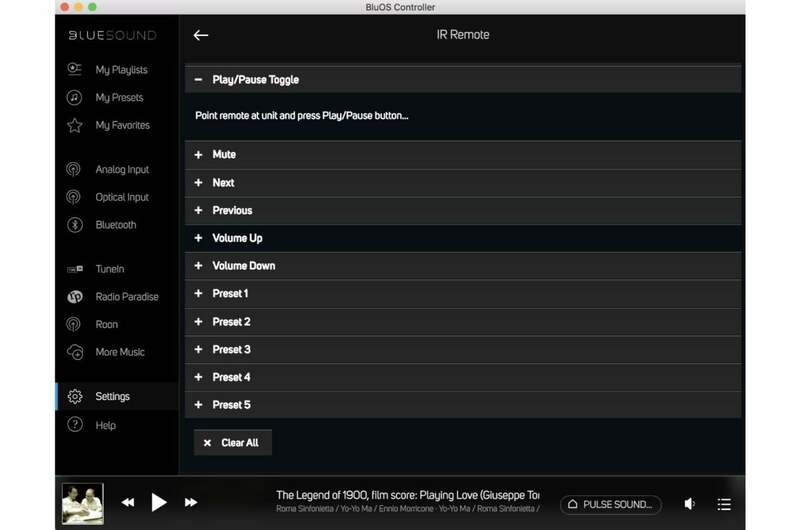 Once you setup the Pulse, you can teach the soundbar to accept basic commands—such as play/pause, volume, next track, and previous track—from an existing IR remote. I did not test this feature. You can teach the Pulse Soundbar to respond to basic IR commands. Using the BlueOS Controller app is straightforward: Open up your mobile device’s settings, select the Bluesound product from the list of Wi-Fi access points, and then return to the BlueOS Controller app to finish the setup. 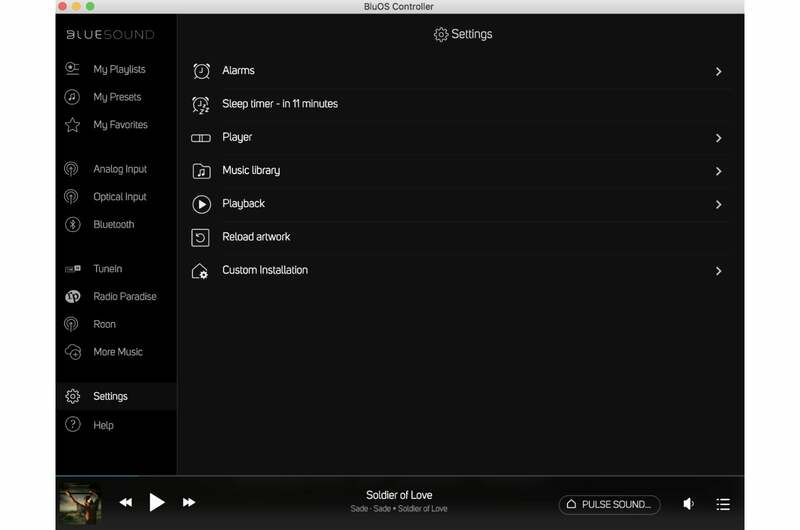 If you’d prefer, you can also use a Windows or MacOS computer to control the soundbar and the music sources you use with it. Bluesound supports all the major streaming services, including the usual suspects—Tidal, Spotify, Amazon Music, and Deezer—as well as many less well-known services, including KKBox, Juke, Qobuz, Radio Paradise, and Slacker. 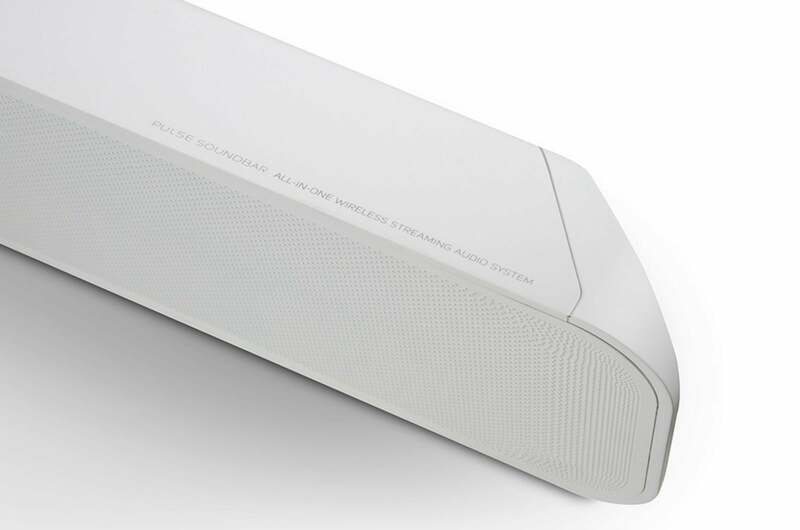 The Bluesound Pulse Soundbar and Pulse Sub be incorporated into a wireless whole-home audio system using other Bluesound components, including the previously reviewed Pulse Mini. Like competing products from Sonos, Denon’s Heos, and Yamaha’s MusicCast, Bluesound speakers and components are designed to work together. You can assign speakers to different rooms; stream different music to speakers in different rooms; group speakers together; and control volume independently or all together via the BlueOS Controller app. Bluesound has a rich product lineup to complement the Pulse Soundbar and Pulse Sub, including the aforementioned wireless speaker, a NAS box with an integrated CD-ripper (the Vault 2); an integrated amplifier (the Powernode 2); and a pre-amp interface for high-end two-channel audio setups (the Node 2). The Blusound Pulse’s edges are angled. Audiophiles will rejoice to know that all Bluesound products offer native support for the outstanding Roon music server. 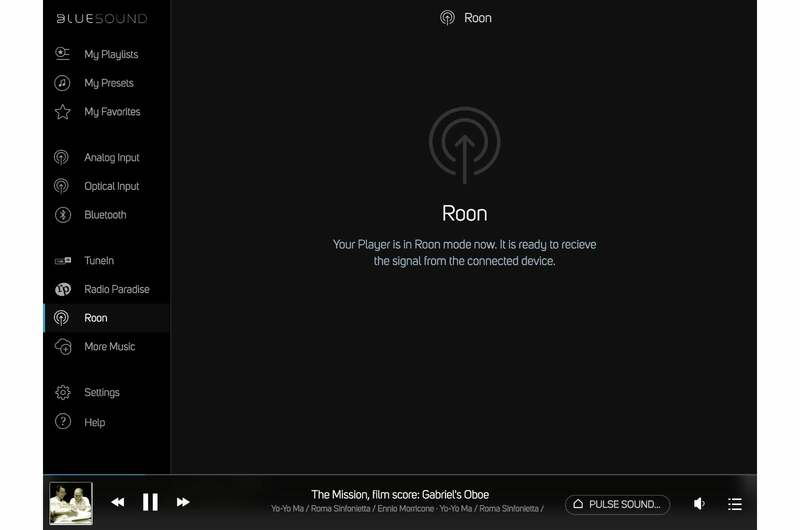 I plugged the Pulse into my network, fired up the Mac desktop app, selected my Roon server, and bingo, the Pulse was in Roon mode and ready to receive a music signal. The Bluesound desktop app showed album artwork, allowed me to adjust volume, and more when used with Roon. 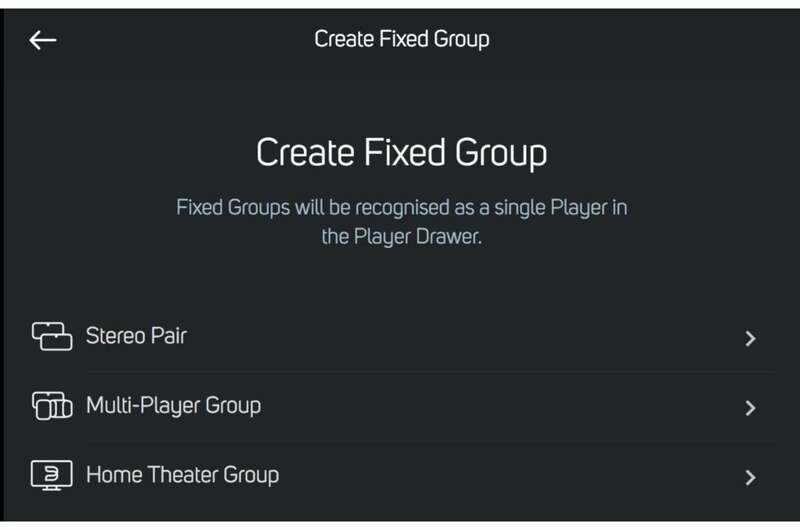 When integrated with Roon, you can: 1) Create a whole-home music network based purely on Bluesound’s proprietary setup or 2) Create a music network via Roon, where you can mix and match BlueOS, Chromecast, and AirPlay products; or 3) Create a seamless hybrid between the two models. The mobile and desktop apps enable you to customize the listening modes of the soundbar as well. You can set the Pulse for TV, music, or movie mode and further tailor each preset with dialog enhancement, late-night listening, lip-sync delay, treble and bass adjustments, subwoofer delay, and more. Make no mistake, this is a mature, powerful system that’s easy enough for the novice to use, but easily suited to the power user. And there’s so much much more the Bluesound app can do. I simply don’t have the space to talk about other features, such as DSD support, alarms, customized auto-off, indicator-light control, volume limiting, and so much more. You have ample inputs to choose from, including Bluetooth with aptX, optical, RCA, and a USB input for USB memory sticks and supported peripherals. Just note there is no HDMI input or HDMI port with ARC. Bluesound supports the outstanding Roon media server. I served up hi-res tracks and previously-ripped CDs with ease from my Roon server. If you’re focused on the aesthetics of a soundbar, but crave the magic of a true 4.1 surround-sound experience, you’ll be happy to know that Bluesound has you covered: You can add two of its Pulse Flex speakers to serve as left and right surrounds. Bluesound did not supply me with Pulse Flex speakers, so I was unable to test this configuration. 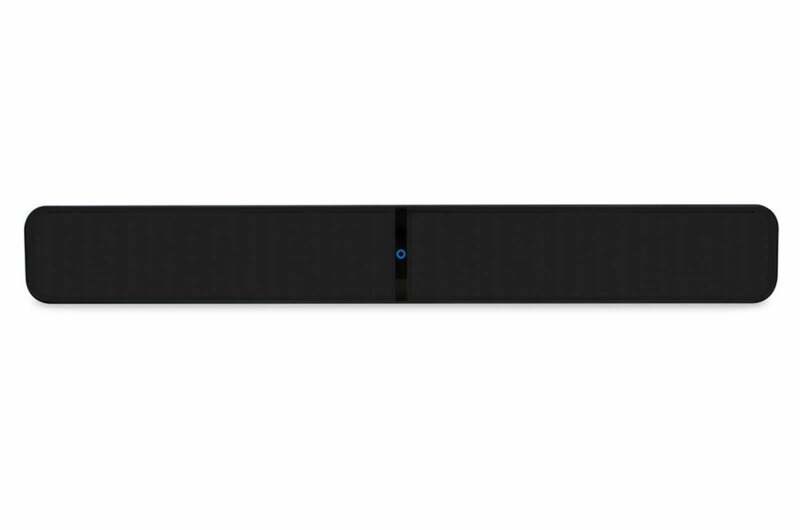 The Pulse Soundbar will play audio files encoded with up to 24-bit resolution and 192kHz sampling rates. Music streamed over a Wi-Fi connection is required for optimal fidelity. Should you need Bluetooth, for whatever reason, the Pulse Soundbar delivers high-quality streaming with aptX codec support for near CD-quality. 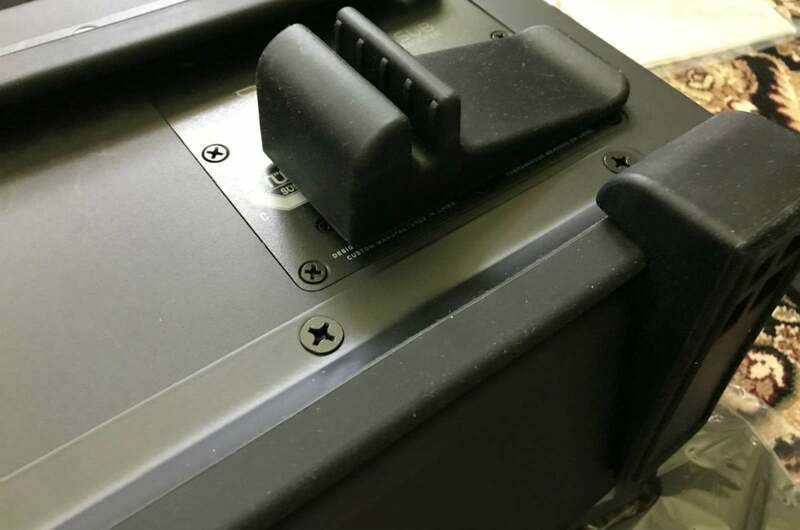 The Pulse Sub’s fine-tuning controls are located under a rubber cover on the subwoofer’s top. You’ll also be glad to know that the Pulse Soundbar supports every major high-resolution format: FLAC, ALAC, WAV, AIFF, OGG, DSD are all included, in addition to the lossy stalwarts MP3, AAC, and WMA. It’s worth noting that the Pulse Soundbar also decodes MQA (Master Quality Authenticated) encoded files, which will be of particular interest to Tidal subscribers at the HiFi level. I initially had difficulty setting up this soundbar on my wireless network. I had a hunch I had received a defective demo unit; nevertheless, Bluesound insisted on conducting a tech-support session before sending a replacement. I was delighted to see that Bluesound’s support technicians were highly skilled and professional. They initiated a Teamviewer session and then opening an SSH connection to the Bluesound’s underlying Linux OS. Needless to say, should you have any issues with Bluesound products, you can rest assured you’ll have competent team helping you at the other end. 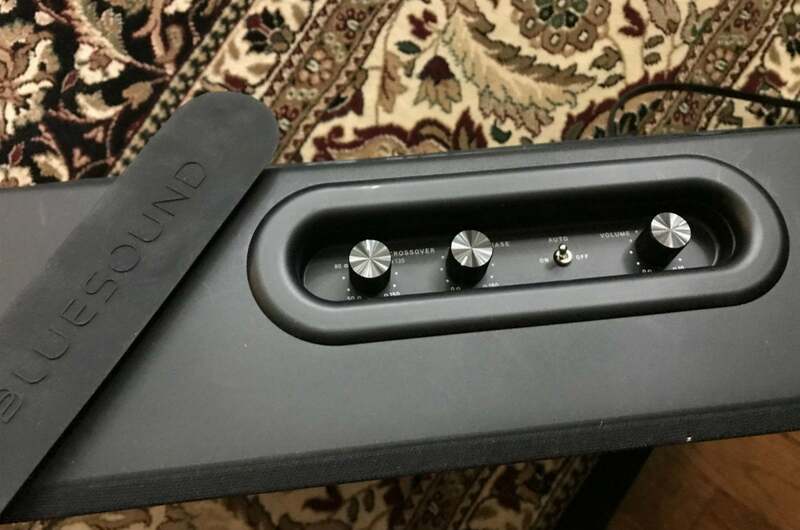 Bluesound’s technicians confirmed what I already knew: the first soundbar was a dud. Bluesound sent a replacement unit that worked flawlessly. Configuring the soundbar and pairing the sub took minutes. I set up the Bluesound Soundbar on a table-top installation connected to a 65-inch Vizio P-Series 4K/UHD TV (2018). I used an Oppo UDP-205 Ultra HD Blu-ray player and a Roon music server as sources. I played the soundbar in direct mode. The Bluesound app’s interface is beautiful and highly intuitive. It was a joy to use. I didn’t experience any hiccups. Bluesound’s powerful feature set allowed me the option of pairing speakers or creating groups for whole-home streaming. Firing up music and movies, I have to say the Bluesound Pulse Soundbar is natural and effortless, delivering an experience eerily similar to audiophile freestanding stereo speakers. The Bluesound Pulse Soundbar is a rare gem that made listening to music through a sound bar a real pleasure. The Pulse’s midrange clarity struck me immediately. From the first notes of Adele’s “Send My Love (To Your New Lover),” Adele’s vocals exhibited excellent timbral character. Bass was solid and punchy, and the Pulse created a wide soundstage that extended beyond the soundbar’s boundaries. Simply put, I experienced refined sound from top to bottom. The bass lines on Sade’s “Soldier of Love” were simply outstanding. The Pulse sub did a very respectable job on Holly Cole’s “Train Song,” which is an audiophile favorite for measuring a system’s bass capabilities. In a nutshell, no matter what I threw at it, the Pulse Sub delivered clean, authoritative bass without straining. Bluesound’s app has several advanced features for power users and custom installers. If a soundbar can exhibit uncanny musicality, rest assured it can show mastery over any TV programming or movies. Indeed, the Pulse Soundbar and Sub combo was a one-two knockout. Dialog was highly intelligible across a wide variety of streaming and 4K UltraHD Blu-ray content. Whether it was Rogue One, Thor Ragnarok, Avengers: Infinity War, The Greatest Showman, or Spectre, the Pulse accepted any challenge. Throughout, the Pulse Soundbar and Sub conjured both grand, other-worldly excitement as effortlessly as it slowed things down for an intimate moment. It can handle anything you throw at it with grace and sophistication. Spending $800 on a soundbar—$1,400 on a soundbar/subwoofer combo—is a significant investment by any measure. You can certainly buy cheaper solutions, but you’ll be hard pressed to acquire a more satisfying one. If you’re the type of person who looks at soundbars from a utilitarian perspective, then this Bluesound package isn’t for you. You won’t appreciate it. If you’re the type of consumer who prizes refinement and high performance with both music and entertainment, on the other hand, then Bluesound’s Pulse Soundbar and Pulse Sub are well worth the investment. What’s more, I’d have no qualms building my whole-home audio system around Bluesound’s ecosystem. A reference soundbar for music and movies with an exceptional networking and streaming feature set. This is not the typical subwoofer you'll find with more typical soundbars. This is a true audiophile product.